The South African Rugby Union appeared before a parliamentary committee this week. On the agenda was the state of its financial affairs and transformation. Despite lasting for almost three hours, very little was achieved. There’s nothing quite like a sporting body appearing in front of a parliamentary committee. On Tuesday 28 August, it was the turn of the South African Rugby Union (SARU). The appearance centred on the governing body’s structures and financial issues. SARU reportedly suffered net losses of R33-million in 2017. But such meetings are not complete without transformation making its way on to the agenda. Take ANC MP Beverley Abrahams, for example. One of her questions related to Siya Kolisi being appointed as captain of the Springboks. Why, she wanted to know, was Pieter-Steph du Toit the country’s 60th captain and Kolisi the 61st? 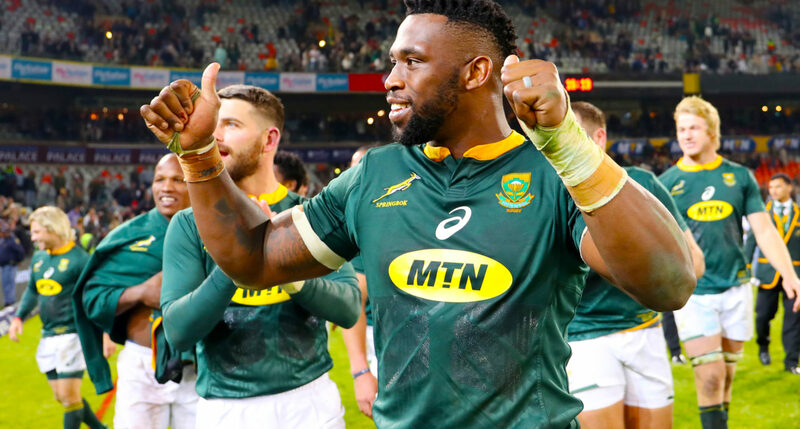 While there is merit in questioning Kolisi’s delayed appointment, you don’t need to be a dedicated sports fan to know the decision was based on high performance. Curiously, Abrahams was aware that Du Toit’s appointment was a one-off, but didn’t appear to know that Kolisi didn’t even travel with the squad for their jaunt to the US to play Wales. SA Rugby president Mark Alexander delicately explained the issues with turnaround time and how it was all part of the long-term plan. But Abrahams wasn’t content with that explanation – despite not even being in the room when the answer was provided – and rephrased the question, essentially asking the same thing, but seemingly confused on the numbering system for captains. Alexander, again, explained the situation and added that the numbered system is something the union is looking at. But even that was not good enough. In the closing questions, she asked again. The chair suggested that she perhaps write to the union for an explanation. Alexander did try to explain, again, but you get where this is going. For two almost three hours, politicians and administrators pontificated over the state of rugby in South Africa. Some asked important questions and raised some valid points, but what exactly was the point? From the start of the question session, it was clear that there would be a big focus on transformation. DA member Darren Bergman equated the financial woes, at least in part, to some of the country’s crowds being “too white”. Alexander later admitted that the union was looking at broadening the viewership through featuring some matches on DStv’s Compact bouquet. He offered a bold assessment on the state of inclusivity at schoolboy level. “I have a video on my phone which was taken at one of SA Rugby’s youth weeks where several young boys from different backgrounds sing and dance together. This tells the story that South Africa has moved on. There was no racism among these boys. We (administrators and politicians) are the racists. We’ve got baggage. The youngsters don’t have baggage,” Alexander said. “The problem lies with the parents, guys like us, who still carry that baggage. Sometimes we see things we shouldn’t be seeing. The problems start with us,” he said. Alexander might be correct in his assessment of top-level schoolboy rugby, but the deeper issues remain the barriers to entry faced by schools in disadvantaged areas. SARU itself noted this year, when the fifth Eminent Persons Group (EPG) report was released, that facilities are a problem and access to formally organised sport is a battle in government schools. Alexander raised these issues at the meeting and bemoaned the cost of development, especially for an organisation that is essentially broke. Members tentatively poked around asking questions about the Vuka development programme, but no one seemed to ask how development of talent functioned and who dictated the systems that funnel talented players into high-performance brackets. No one asked how these systems could be enhanced, with SARU’s assistance, to grow the game and improve access to resources and opportunities. No one asked what, if any, assistance was being given to players to have a shot at making provincial teams at youth level, but might not have the financial means to attend trials or pay for tours. None one asked why, in some cases, aspiring rugby players aren’t even aware there are trials. No, instead the focus was about the number on Kolisi’s cap. These questions aren’t complicated. Anyone who has been through the rugby system at youth level, with or without success, will have a story about how frustrating it can be.